We asked our top traders for their 2016 resolutions and avoiding excessive leverage ranked highly. 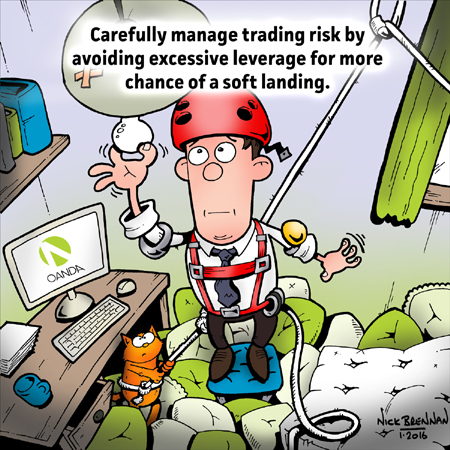 It’s key to securing your ropes when scaling the markets – as our climbing trader knows only too well! Leverage can build profits, but with the wrong approach it can also destroy a trader’s work. It should be handled with care and deployed only in the situations that call for it. Just because you have the ability to unsheathe maximum leverage, doesn’t mean that you should every time. In fact, many top traders report that they seldom use the full amount at their disposal. Next time – the importance of having, and sticking to, your financial game plan. For more information, visit our website to download an e-book on effective risk management here.